Moturoa Rabbit Island is the largest of a group of sandy islands lying in the Waimea Estuary at the head of Tasman Bay, 15 minutes drive from Richmond. 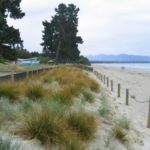 Along its seaward side there is more than eight kilometres of safe sandy beach. This is the largest picnic area in the district. 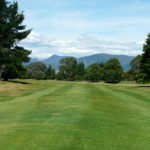 Located on the outskirts of Nelson, Greenacres Golf Club is actually on Best Island. The course borders the tidal inlet with water coming into play on several holes. Built on a solid sand base, the inland holes are tree-lined where the coastal holes enjoy water views and a true links feel. The area is famous for its wineries, orchards, beaches, art galleries and beautiful river valleys so take time to enjoy the local sites. 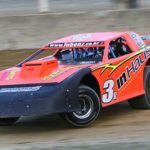 Located close to the Top of the South Speedway, Greenwood Park makes an excellent place to stay for spectators and competitors. 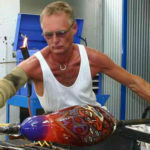 The Hoglund family invite you to their glassblowing studio and showroom which is fully stocked with stunning artglass. Blown perfume bottles, vases, goblets, lights and bowls in beautiful colours created by Ola, Oliver and Ossie and fused glass jewellery handmade by Marie, Annie and Mel. From small beginnings in 1973, when Hermann Seifried and his New Zealand wife Agnes first planted grapes in the Moutere Valley near Nelson, this is a family business with a focus and passion for beautifully crafted wines.